Dog lovers unite! Chewy carries everything you need for your lovable furball all available at the click of a mouse. Spoil your dog with only the best in dog supplies for dog food, dog treats and dog toys. If you've been searching for senior dog prescription food, look no further. 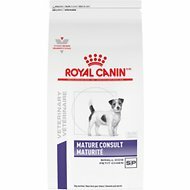 Among the wide selection we carry, one option to try is Royal Canin Veterinary Diet Mature Consult Dry Dog Food. 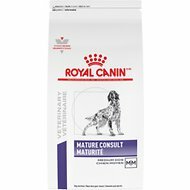 Key benefit: contains a balanced complex of powerful antioxidants that neutralizes free radicals, protects against cell aging and supports brain function in older dogs. 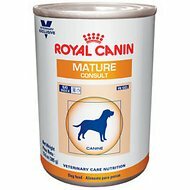 Another product is Royal Canin Veterinary Diet Mature Consult Canned Dog Food. Key benefit: a balanced complex of powerful antioxidants neutralizes free radicals, protects against cell aging and supports brain function in older dogs. From healthy dog food to fun dog toys, Chewy has it all! You'll find everything you need - and if you have any questions be sure to reach out to our customer service available 24 hours a day, seven days a week. 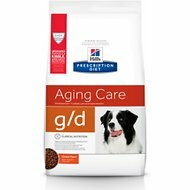 For all your pet needs including senior dog prescription food, Chewy has you covered! We're here for you.